It always sets a friendly smile on your face if you realise that an artist is capable of more than just repeating himself. Everyone would have expected some more relaxed soundscaping from Danish producer Lars Pellarin but with this EP you will definitely be surprised. Minimal House is the magic that enchants all five epically extensive tracks. 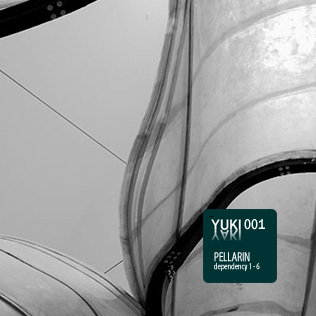 Edgy clicks in fraternizing conjunction with sweeping House chords float on a driving heartthrob of crispy beats - reaching a clubworthy intensity that's never been sensed in Pellarin's former works. No sign of discord beclouds the reign of the rhythm! We recommend you to play it loud and with a decent level of boost in the basses! From 2001 on, when his debut "tangible abstractions" on couchblib was published, Lars Pellarin also has been known beyond the borders of his home country Denmark. His music ranges between minimal techno and soft electronica. Still, Pellarin’s style can’t be fixed. Although further publications on Rump Records or Observatory Online have got a unique character, they always bear his trademark. Besides his solo works, he cooperates with several musicians beyond the borders of genre. One example is Printer, a band he is a member of. Printer’s music probably can best be described as electronic Pop. Up to 2005, the band published two albums. Last but not least, Pellarin's second full-length album "Athen" is releases on Statler & Waldorf - the label he conducts together with Stefan Mylleager. It's ON... NIce and raw!